With a deep understanding of your priorities, we provide the wisdom, knowledge and experience to serve as your single point of contact for all your family wealth needs. Comprehensive wealth management takes a unique set of skills that goes well beyond general financial planning. It takes a team of experienced professionals, who have acquired the insights, wisdom and world-class resources needed to tackle today’s fierce challenges. 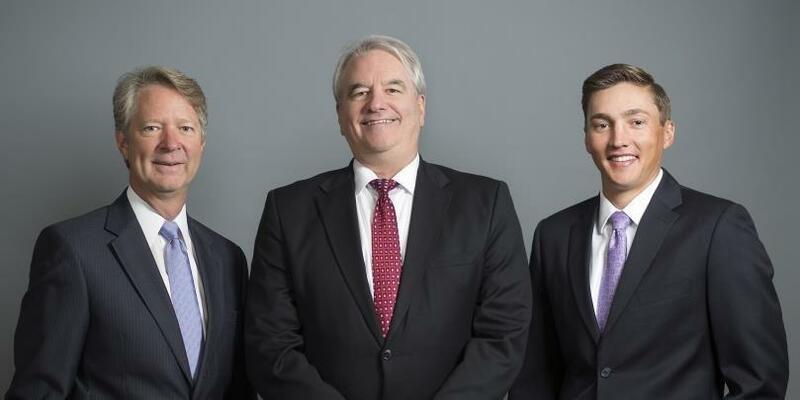 At The Anderson-Miller-Pinkelman Wealth Management Group, we are a seasoned advisory team who knows what it takes to achieve results. We focus on what is most important to you and provide the skills and sophisticated strategies needed to make informed, confident decisions about your future, your family and your finances. We believe wealth is about more than the size of your investment portfolio. It’s about your life and the people and passions that give your life purpose. Our strengths lie in our ability to help you prevent financial mistakes and make sound investment decisions through ongoing education, a rigorous and detailed process, tailored solutions and a commitment to always doing the right thing. It is only through mastering these critical responsibilities that we are able to effectively manage risk and optimize performance, fortifying your family’s financial security for generations to come. While our clients have unique goals and circumstances, they all have one thing in common: The desire to simplify their finances and develop an integrated wealth strategy for now and the future. We help them manage and protect their assets, so they may enjoy their wealth and leave the legacy they desire. Our process takes a 360 degree view of your wealth. This leads to solutions that are not only designed to reach specific financial targets, but are reflective of who you are and how you ultimately want to share your wealth. We begin with an informal discussion to understand your financial concerns and determine how we can add value. This is your opportunity to get to know us, as we get to know you. Once we agree to move forward, we’ll request important information for our next discussion. We continue the dialogue by fostering an in-depth conversation where we learn about the values that shape your decisions and the concerns that keep you up at night. We review the documents you’ve prepared and utilize a 13-point checklist to drill down on key details about your personal situation. Here, we review your finances, determine the likelihood of reaching your goals and address the impact of unexpected life events. We may also reach out to your CPA and estate attorney to discuss any tax concerns and understand your existing estate plan to ensure the strategies we recommend are fully coordinated. Utilizing a number of financial planning tools, we develop your detailed financial report. In this step, we present our key findings with specific strategies designed to achieve your goals. Upon your approval, we’ll set into motion a course of action that strives to align your values and vision with your personal definition of financial success. Dedicated to a concierge experience, we focus on developing relationships that provide special value to you and your family. As we activate each strategy, we’ll set up a variety of tools to provide immediate access to your accounts. And because markets and personal needs evolve, we’ll set up ongoing meetings to ensure your plan remains on track. We pay particular attention to the timing of milestone events, as well as spending patterns to offer you a set of lifestyle guidelines that help assure your retirement – and other key goals – are not compromised. We understand that the needs of corporate executives are different than those of business owners and will offer strategies specific to your personal situation. Asset management aims to achieve the best possible investment returns that are consistent with your level of risk. We offer a wide range of strategies that apply long-held investment principles to help your assets appreciate appropriately. We embrace conflict-free decision making within a cost-effective structure. Given extended life expectancy, we help tailor allocation and income distribution strategies to help you preserve assets, whether they are held at Morgan Stanley or other firms. This includes advice on 401(k) plan assets, life insurance and long-term care plans. Life’s risks can manifest themselves in many ways -- from loss of life to loss of health – and have the potential to impair the efficiency of a thoughtfully developed plan. We proactively help address these concerns in a number or ways, ranging from insurance reviews to liquidity strategies. Delivering an estate to the next generation or favorite charity requires more attention than families often commit. Coordinating with outside estate and tax professionals, we align estate planning goals with the appropriate asset titling and beneficiary designation requirements, while incorporating tax minimization strategies to help enhance results. To that end, we have assembled the following articles and white papers about many of the concepts that support our wealth management philosophy and investment strategies. We’ve provided easy links to these materials and hope you will return often to learn more about topics impacting your wealth. 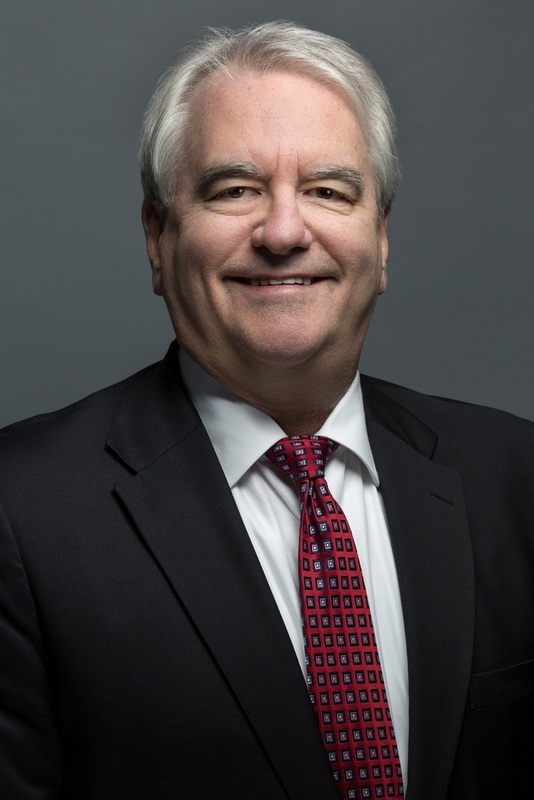 A seasoned wealth management professional for nearly 35 years, Dan has dedicated his career to serving the specialized needs of high net worth families, corporate executives and business owners. His results-driven approach includes the development of a tailored wealth plan and a commitment to ongoing education and outstanding service. Dan works closely with clients to simplify their financial lives, so they may enjoy their wealth and leave the legacy they desire. An industry veteran, Dan began his financial services career at Morgan Stanley in 1984. 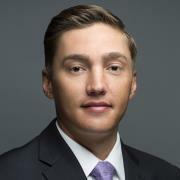 Over the next several years, he expanded his responsibilities, taking on the role of Branch Manager of the firm’s Las Vegas complex, a position he held until 2004, when he returned to his growing practice for the opportunity to work more closely with clients, advocating for their financial well-being and helping make a significant impact on the quality of their lives. In 2011, Dan earned Morgan Stanley’s Family Wealth Director designation. This credential – achieved by less than three percent of the firm’s advisors – provides Dan with the knowledge needed to serve the sophisticated needs of ultra high net worth clients. As a Family Wealth Director, Dan and his team have access to an extensive range of resources designed to help families manage the complex, multigenerational challenges of significant wealth. He takes an integrated approach that includes family issues, wealth transfer and asset protection. In addition to this role, Dan is a Senior Portfolio Management Director and is responsible for managing the team’s discretionary fixed income portfolios. Dan has a long history of serving his clients and the Las Vegas community. He currently sits on the Board of Trustees of the Foundation for an Independent Tomorrow and the Nevada Community Foundation. He and his family support many other organizations in southern Nevada. He has been married to his wife, Ginger, for 19 years and has two grown sons. Craig E. Miller brings a lifetime of experience to his role as a wealth management professional. For nearly 35 years, he has worked closely with highly successful executives and business leaders, providing customized advice through a disciplined investment approach. His specialized skills enable him to help clients understand the intricate details of their wealth, so he can develop a tailored plan focused on achieving their particular goals. Growing up in Chino, California, Craig knew at an early age he wanted to pursue a career in money management. 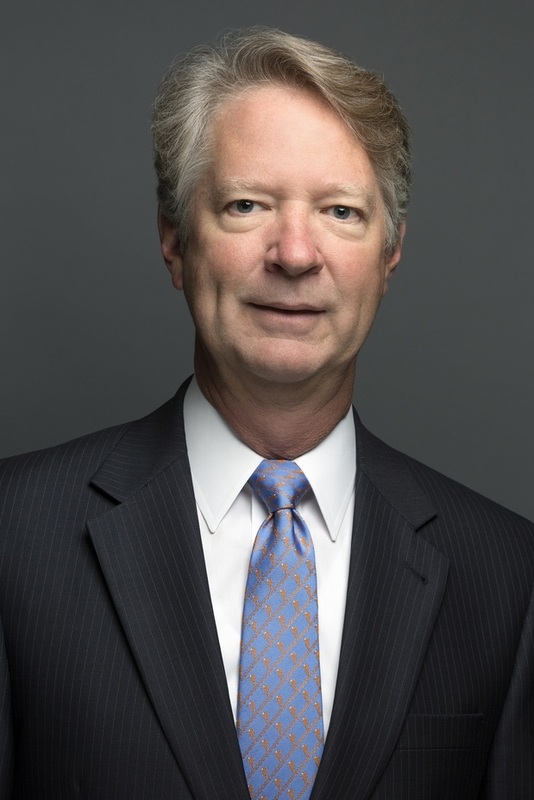 After earning his degree in Business Management from California State University - Fullerton, he joined the Morgan Stanley family in 1984 and has enjoyed a long career guiding clients towards the realization of their personal financial goals and professional objectives. Craig draws upon his vast experience to provide clients with customized portfolios and tailored advice, specifically in the management of their stock options and restricted stock. His approach begins with a face-to-face meeting to fully understand each client’s goals, values and circumstances. This information serves as the foundation for the development of a comprehensive plan and investment portfolio that incorporates extensive equity research and powerful hedging strategies. Over the years, Craig has remained committed to professional development, earning important designations, including Wealth Advisor, Corporate Client Group Director and Portfolio Management Director. These credentials demonstrate Craig’s ongoing commitment to a world-class client experience. Craig currently lives in Las Vegas with his wife, Kellie. A firm believer in giving back, Craig is on the Board of the Smith Center for the Performing Arts and is a strong supporter of St. Jude’s Home for Children. Outside of the office, Craig enjoys playing golf and is an avid bass fisherman. Troy enjoys working closely with high net worth individuals and families to ensure they have a solid understanding of their finances and an integrated approach to managing their wealth. He focuses on helping clients achieve their financial goals, which often include planning for a successful retirement, financing a major acquisition or selling a successful business. Troy learned first-hand the importance of having a knowledgeable and trustworthy financial advisor from his grandmother, who did not have a good experience with her advisor. This lesson inspired Troy to pursue a profession where he could educate clients effectively about their personal finances and make a positive impact on the quality of their lives. After graduating from the University of Nevada, Las Vegas, Troy began his career in financial services at Morgan Stanley in 2013. He holds his FINRA Series 7 and 66 licenses and earned the Family Wealth Advisor designation in 2018. Over the years, Troy has built a successful practice, advising families on how to better understand and manage their total financial picture. He believes investing should be based on a strategy that is easy to understand and easy to implement. Through a goals-based process and world-class resources, Troy works diligently to provide clients with clarity and confidence about their finances, so they may enjoy their wealth while preparing for a comfortable retirement. Born in Toledo, Ohio, Troy now calls Henderson, Nevada his home, where he lives with his wife, Danielle, and their infant son, Wesley. Outside of the office, Troy has been an active volunteer with several local organizations. In his free time, he enjoys being outdoors, playing golf, photography and spending time with family and friends. Ready to start a conversation? Contact Anderson-Miller-Pinkelman today.